Arm your dealers with effortless tools to better engage online shoppers, without ecommerce. Most of your dealers have two poor choices concerning how to reach online shoppers: do nothing, or launch an expensive (and likely unprofitable) ecommerce site. With Locally, there’s another way. 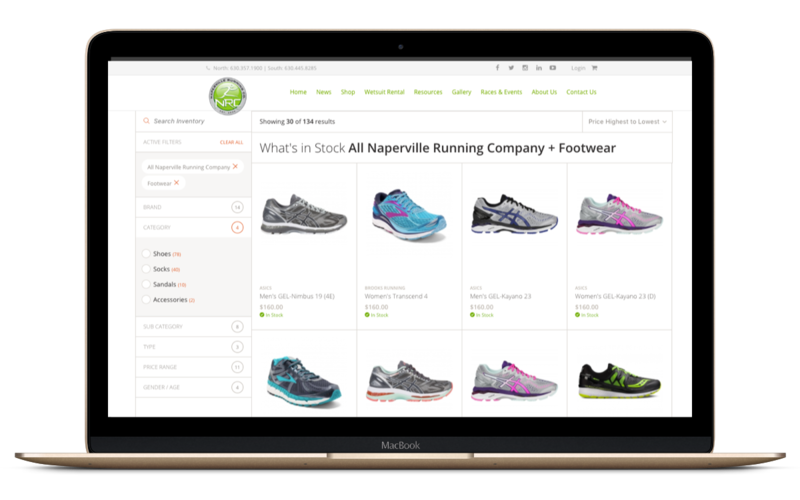 Our “Locally Pages” tools allow your retailers to effortlessly broadcast their in-stock merchandise for your brands through their own website and social channels, and power transactions for in-store pickup. Locally Pages allows any retailer with a Locally inventory feed to copy their inventory from locally.com and paste it into their own website. 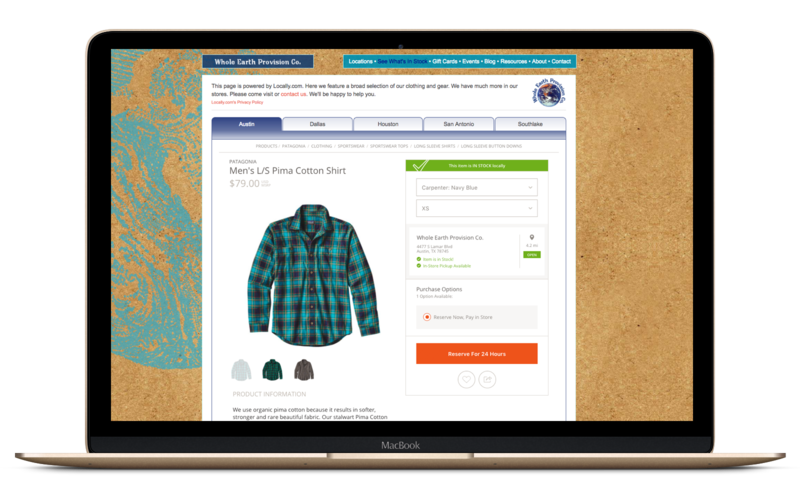 Locally Pages allows retailers to effortlessly promote their store’s in-stock products through their own channels, drawing shoppers into their store and accepting transactions for pickup. Any retailer with a few minutes on their hands can launch Locally Pages on their website. Dropping in a line of code instantly broadcasts hundreds or thousands of in-stock products to shoppers on their site. Locally Pages Literally Runs Itself. Locally manages product data with brands, and retailer's feeds are automatic, so no ongoing maintenance is required. Locally Pages is Actionable. Retailers can accept holds/payments for pickup. Locally does not facilitate shipping. Locally Pages is Customizable. Retailers can create dedicated landing pages for categories or individual brands. Locally Pages is Free for Retailers. Brands cover the cost of supporting their product catalog on Locally, making it free for retailers to use. Many retailers see more traction on their social channels than their own website. 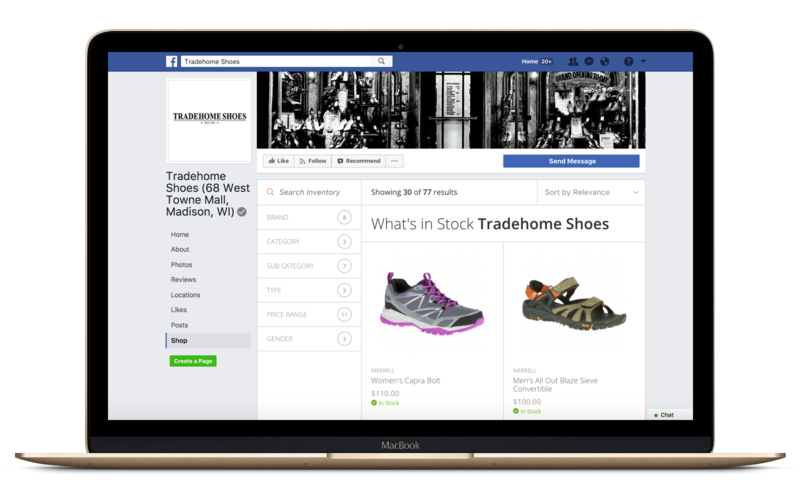 With Locally Pages for Facebook, they can quickly install our free Facebook app and show shoppers what’s in stock at their store from their Facebook Page. Your Store Locator is one of the most popular pages on your site. How are you using it to turn shoppers into buyers? Online, on-demand shopping is the emerging future of shopping. How will you get your products into your customers hands before your competition? Shine a spotlight on your best retail locations from your own site. Join us as we grow locally.com, the first-of-its-kind online destination for local shopping. Join us as we build the most forward-thinking analytics suite of location-based insights for brands and every node of their distribution network. We use crowd-sourcing techniques to perpetually audit tens of thousands of stores, keeping your dealer data accurate in a way impossible to do alone. Do you need a standalone mapping solution for events or a tour? Do you want to mix up multiple concepts (like what to do and where to buy) for a marketing initiative? We continue to add new features that support shoppers, retailers, and brands. Check out some of the new developments that are Coming Soon.